• Highlights lessons learned from such incidents and catastrophes as: Hurricane Katrina, Earthquake in Haiti, Parking lot collapse in Miami, West Texas industrial explosion, Train wreck in Spain, Aurora movie shooting, Times Square bombing, etc. 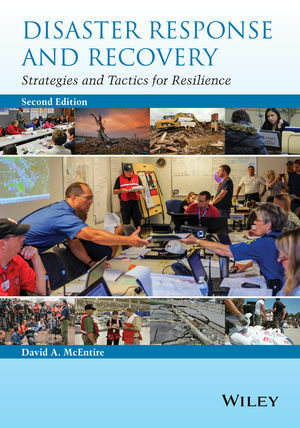 David McEntire is a Professor in the Emergency Administration and Planning Program (EADP) in the Department of Public Administration at the University of North Texas. He teaches emergency management courses in both the undergraduate and graduate programs. Dr. McEntire has written extensively on emergency management and has been recognized by peers as the recipient of the Blanchard Award for Academic Excellence in Emergency Management Higher Education.